The city of Nashik in Maharashtra gears up to host the biggest Hindu pilgrimage of faith this year, the Kumbh mela. Millions of pilgrims are expected to gather peacefully on the banks of river Godavari for the sacred bath ritual. According to sources, the Nashik police has gone all out to ensure the safety of the pilgrims, especially the women worshippers this year. So, if you are planning to visit the Kumbh mela at Trimbakeshwar, Nashik, read on for all you need to know about one of the world’s largest religious celebrations. 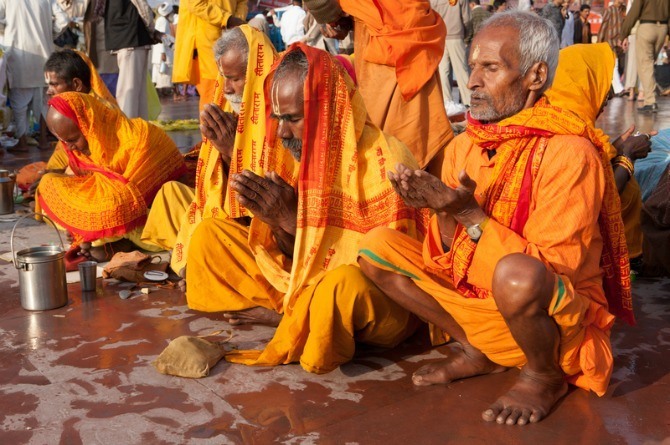 The Kumbh mela will commence on July 14, 2015 and end on August 11 2016. Mumbai is well connected to Nashik via rail, road and air. Rail: A number of trains head to Nashik from Chhatrapathi Shivaji Terminus on a daily basis. Rail journeys to Nashik can take about 4 to 5 hours. Book your train tickets here. Road: Nashik is about 171km from Mumbai and is accessible via the Mumbai-Nashik Expressway. Road journeys through the highway can take about 3 hours. You can book your bus tickets here. Air: Round trip flights to Ozar Airport, Nashik, from Mumbai airport are available but services are not very frequent. Trimbakeshkar is about 44 km from Nashik Road railway station and 39km from Ozar Airport. Taxi, bus or autorickshaw services to the festival are available. The best way to get to Nashik from Delhi, Bengaluru and Kolkata is via Mumbai. Book your flight tickets on Cleartrip. You may choose to travel via train or road from Mumbai. 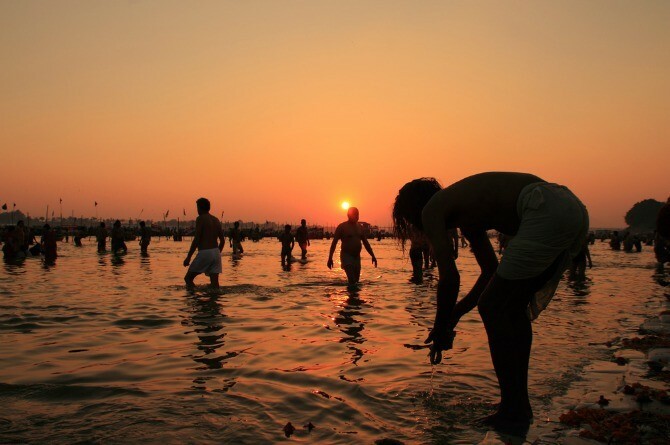 It is crucial to take certain precautions to have a safe and enjoyable Kumbh festival. Read on for tips for a safe trip. Keep yourself hydrated as the humidity can cause a lot of sweating and fluid loss. There are numerous camps or budget hotels in Nashik, committed especially to accommodate visitors to the mela. The Ultimate Kumbh Camp has dormitories and standard camps for visitors. It is situated about 1/2 km from Kushavat (the site for the main Snan or bath). Kumbh Camps have a spa facility along with luxury tent options for those who want to make the most of the celebrations. Let us know if you have any more questions on Kumbh Mela 2015, in the Comment box below. This Fisher-Price 4-in-one Baby’s First Essentials gift set is something all mums and mums-to-be will fall in love with!